Traveling for me can be something of a double-edged sword. On the one hand I absolutely adore traveling to new places (and old), trying new foods, and experiencing new places. But on the other hand actually getting to these places and or traveling around within them is not always the best part of my trip. For as long as I can remember, I’ve been very susceptible to motion sickness.When you suffer from motion sickness, you don’t remember all of the times you’ve felt sick but there’s usually some incidences that stick out in your mind. One of my earliest memories of it was at 5 years old and living in Berlin. The nausea hit me so quickly that the only thing I could do was throw up out the open window from a moving car. The next time was on a plane ride back to the States. We were descending into the Atlanta airport and the flight attendant was trying her hardest to help an obviously ill 8 year old feel better. Just as I sat back in my seat and the wheels hit the tarmac, I got violently ill in the tiny paper bag from the seat pocket. 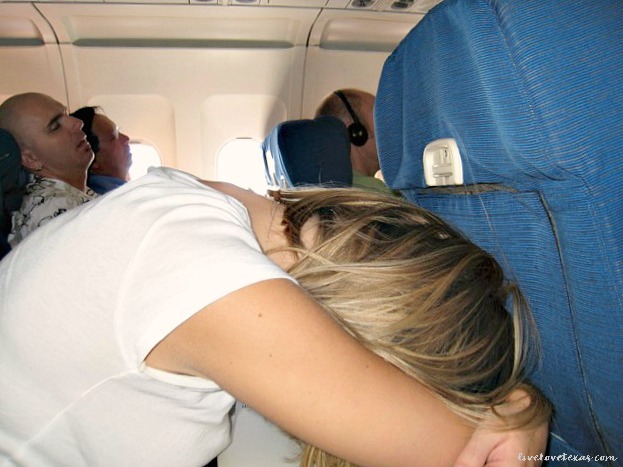 Motion sickness on a plane. 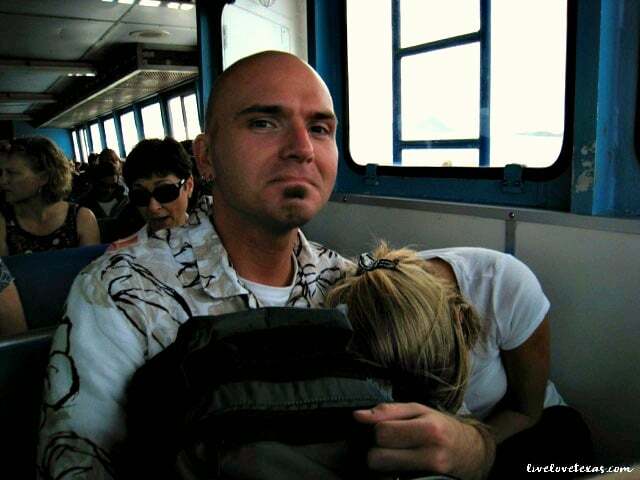 Motion sickness on a ferry. Motion sickness in a car. Over the years I had many more motion sickness episodes. From mild events where just an open window, closing my eyes and/or sleeping (funny how someone always wants to take pics of me during these times of misery), or taking over driving duties helped relieve the symptoms to the more memorable ones (hello, Road to Hana in Maui or the ferry ride between St. Thomas and St. John). These days I still get motion sickness but not nearly to the same extent. Or, maybe I’ve just learned some ways to deal with motion sickness. 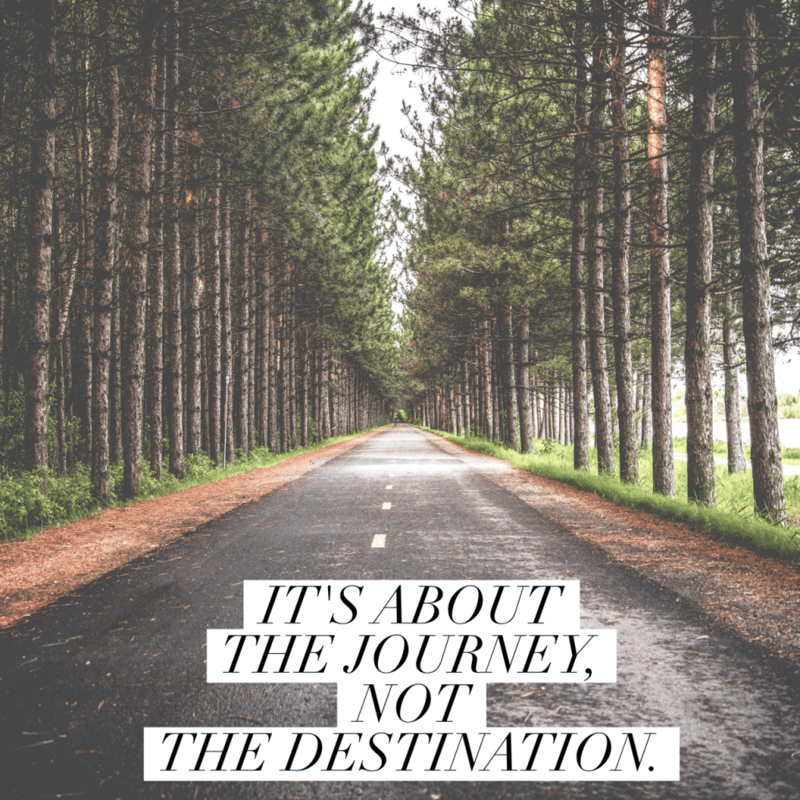 I always think about the sayings that talk about life not being about the destination but the journey that counts. Now more than ever, I want to experience it all and actually enjoy the entire trip…including the travel. I’m excited about all of the lifelong memories that we will make visiting new cities and locations around the world. Our passports are ready and we just got approved for our Global Entry card and TSA Pre-Check so there’s guaranteed to be plenty more international travel and opportunities for motion sickness to rear its ugly head in the future but hopefully with the knowledge I’ve learned over the years, the trips will only get better. As you can imagine I’ve tried pretty much every over-the-counter treatment option that’s available. Some of them work, but not without side effects or waiting long periods of time for the medication to kick in. Recently I was introduced to Reliefband and I’m really loving the fast relief from motion sickness. Reliefband is highly effective, clinically proven, FDA cleared wearable technology for treatment of the nausea and vomiting of motion sickness. It’s really pretty neat how Reliefband works – you wear it on the underside of your wrist where gentle pulses (with 5 different settings) rebalance the signals in your brain that cause nausea and vomiting so you can get back in control of your life in just a few minutes! Find spot on wrist – in between 2 tendons on the underside of the wrist. Clean area and apply a small drop of conductivity gel and spread in a circle about the size of a coin. Place the device over the gelled area and fasten device snugly. I’m ready to live life in full motion, avoid the embarrassing moments as seen above, and enjoy life to the fullest! 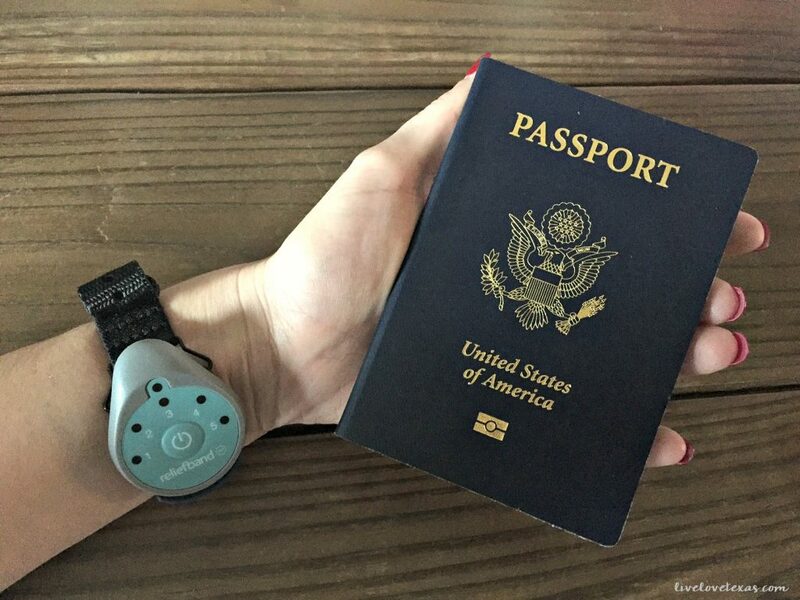 Learn more about Reliefband and snag one before your next trip here and get free shipping!